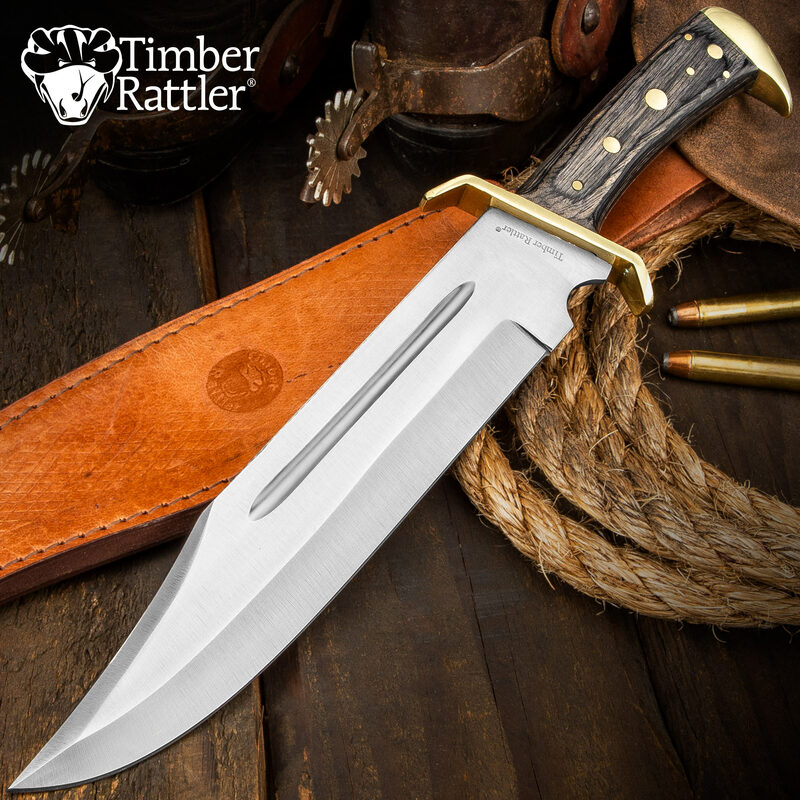 This is one custom blade you will enjoy for years to come! 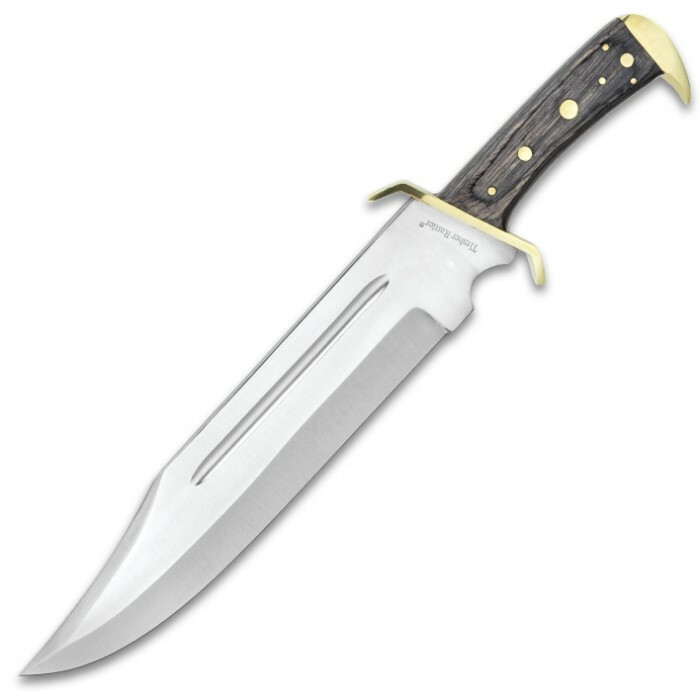 This powerful full tang bowie knife stretches an amazing 16 1/2" overall! 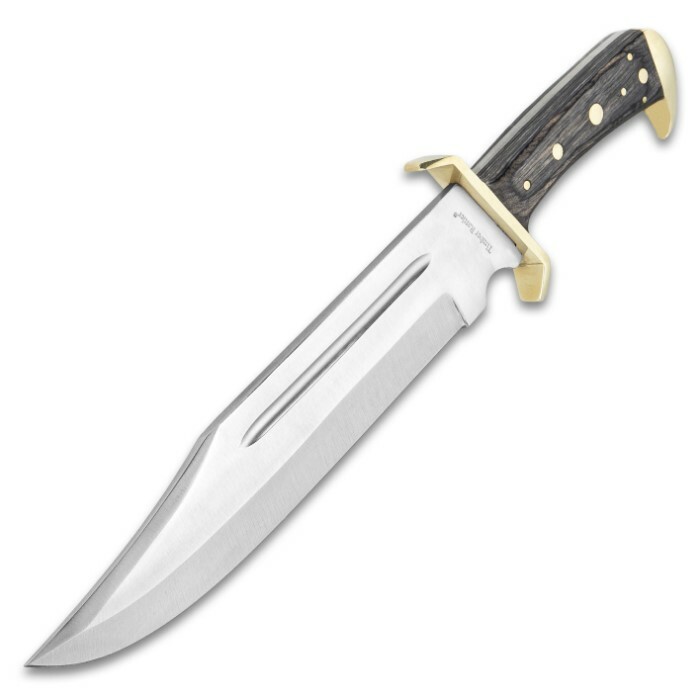 The 11 3/8" blade is solid stainless steel construction and accented with brass plated guard. 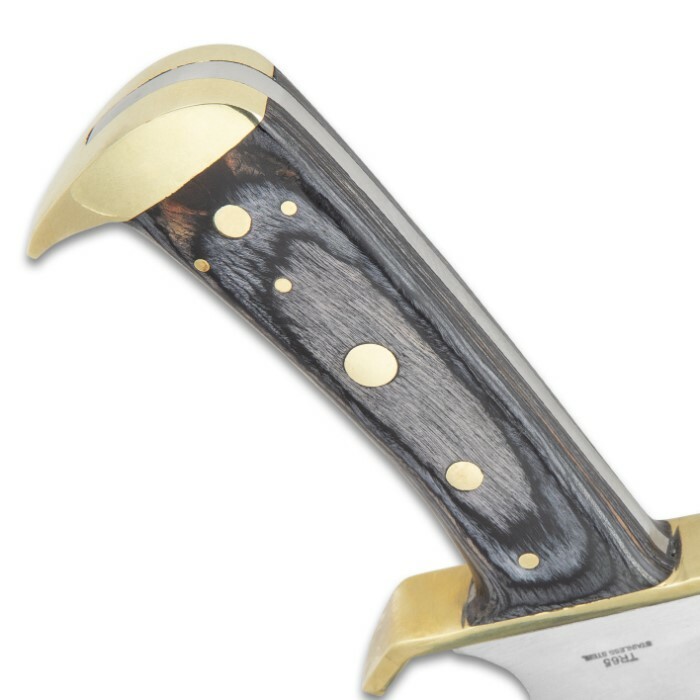 The solid hardwood handle is a classic dark blue accented with brass bolsters. 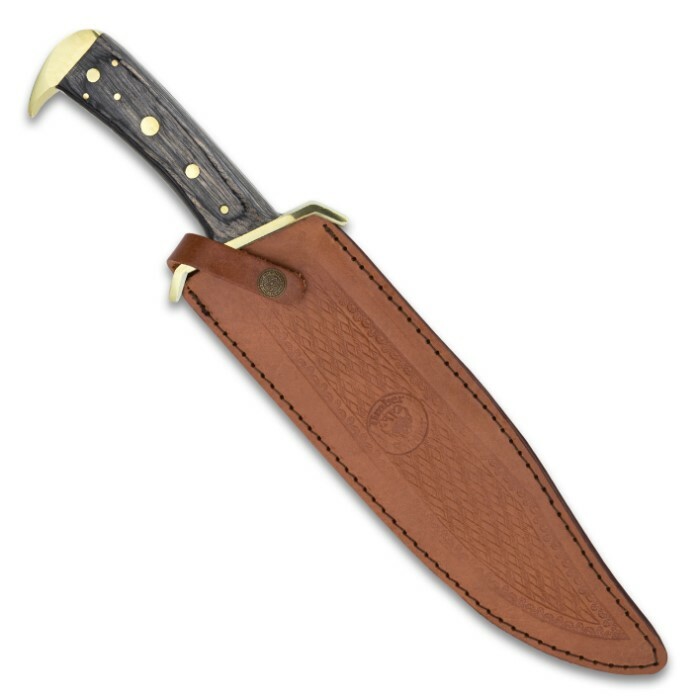 Included is a custom genuine leather sheath. 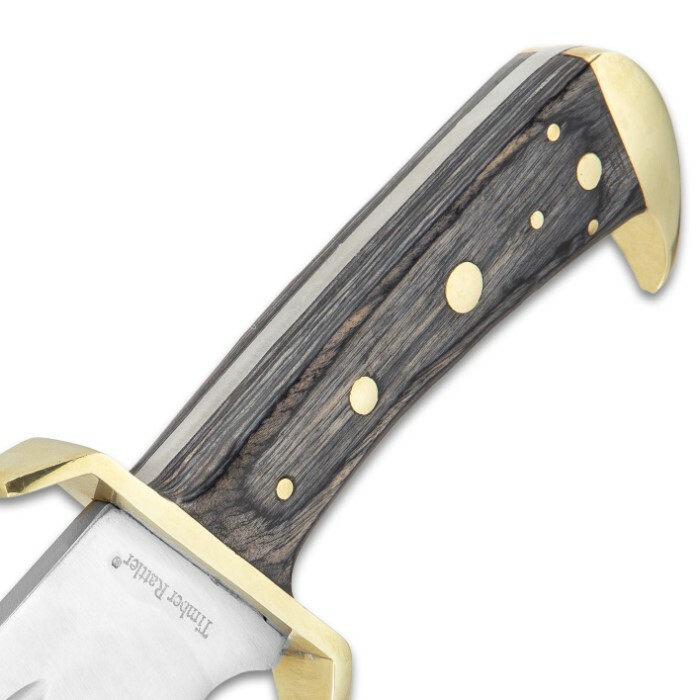 1/4" blade thickness.